A Cape Town taxi association has become the first to introduce a smart card electronic payment system rather than cash. Peninsula Taxi Association (PTA) which has a fleet of 250 vehicles with 100 members, operats three of the top ten most lucrative routes in the Western Cape, including the Cape Town to V&A Waterfront. Additionally it also operates in the Cape Flats, Southern Suburbs, the Atlantic Seaboard and the West Coast, according to the association’s spokesperson Ghaalid Behardien. At the end of January Behardien said his association launched the Tap-I-Fare card payment system for which 5 000 cards started circulating on last Wednesday (February, 1) and were interoperable with the MyCiTi bus service and Johannesburg’s Reya Vaya bus service. As a pilot project at the moment, the card system was being implemented in 42 vehicles which ran the city to V&A Waterfront route but would be rolled out to other routes in future. The 42 vechiles had wireless hand-held devices upon which the cards were swiped. The card did not eliminate the use of cash, he said, but gave commuters another option. A brochure with an Absa logo declaring that the Tap-I-Fare card was supported by Absa detailed terms and conditions, stating that the issuer may charge a fee for the card and a fee for loading money onto it. Fees would be charged for the use of the card depending on the transport mode used; the amount of these fees will “be made available to you by the user from time to time; any changes will be communicated to you within a reasonable time and fees will be available at any Tap-I-Fare loading point”. Behardien said the introduction of the Tap-I-Fare payment card had nothing to do with the city’s introduction of MyCiTi’s myconnect card. He said his association had been investigating alternative payment options for a “few years already” and many companies had previously approached them to enter into partnership but after extensive investigations, this initiative with Absa was the best option. 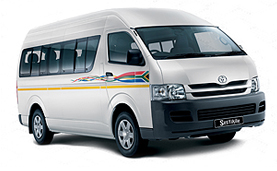 “As the most progressive taxi association in the country, it was always the vision of the PTA to look ahead and pre-empt the ever changing needs of the commuter. This meant that changes had to be made to keep up with the times, and this card payment system was but one option that was explored,” he said. He said an initial 5 000 cards were issued by Absa and another batch of an additional 5 000 cards was being awaited. The first 1 000 commuters to purchase a card would get it for R10, thereafter it would cost R20, he said. Taxi fare from central Cape Town to the Victoria and Alfred Waterfront was currently at R4 cash but card holders – who would be able to swipe their cards on handheld devices when they entered the taxi – would be charged R3.50. what a terrific idea! because the guards allow a lot of friends to travel for free.